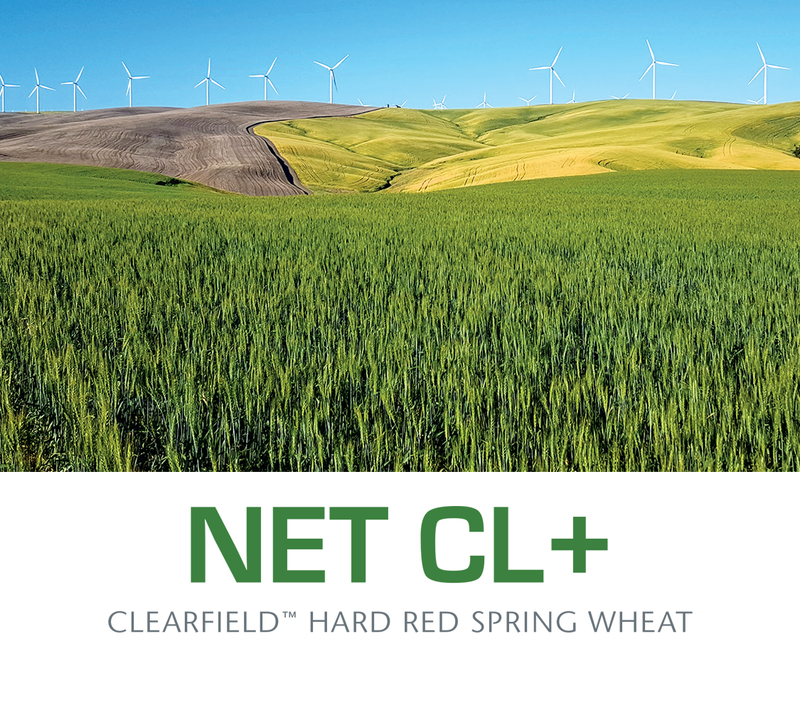 Net CL+ is a broadly-adapted hard red spring wheat with two-gene tolerance to BeyondTM herbicide for use in rotation in ClearfieldTM production systems in all production zones of the Pacific Northwest. It has an excellent yield record, with above average grain protein, good adult resistance to stripe rust, medium height with very good straw strength, very good test weight, and Hessian fly resistance in low, intermediate, high rainfall production areas. Net CL+ combines top-end yield potential, high test weight, and above average grain protein compared to most hard red spring wheat varieties including Alum, Glee, Kelse, SY Selway, and comparison ClearfieldTM varieties including SY 605 CL and WB9879 CL+. Tolerance to Group II herbicide soil carryover in Pacific Northwest production is of broad importance in Eastern Washington and Northern Idaho.